What if your SEO team was a sport team? Every individual is only as good as the person next to them and this simple notion can be applied to all walks of life. In business, that goes for your marketing team, your HR or finance teams. In our personal or social lives this can even be applied to our favourite sports teams. It almost goes without saying, that for your team to function at maximum capacity, you need to make sure all the roles are covered and working like a well-oiled machine. A successful team isn't necessarily a group of people that have the same strengths and experience. More often than not, an effective team is one that is made up of a range of strengths, a mixture of experience and other aspects that cohesively combine a group of individuals into something much stronger than the sum of its parts. In the world of digital marketing and specifically SEO, a strong SEO team has a lot of the similarities that some of your favourite sports teams may have. You'll need varying experience, a range of skill-sets, a leader and other team players that will combine to create something powerful. Usually the business development or sales guy. The first point of contact. He/she is the captain of the team. If times ever get rocky, they are the ones to talk to the ref (ie the client) and make sure all sides are in a level playing field. As a client, if you are ever in question, you can always ask the captain of the team for a final and often, subjective answer. 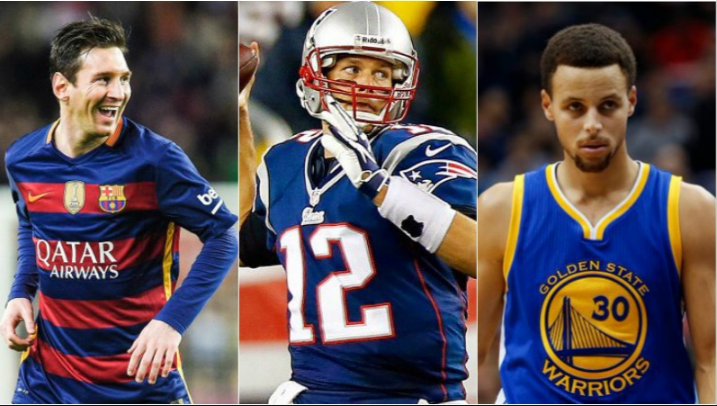 Your Stephen Curry, Lionel Messi, Tom Brady, whoever it may be. Every winning team has their go to player. The guy who goes to work and get results. Every SEO team needs someone with a technical background. They know how your website works from back to front. Be it front end or back end development or even design. They know exactly what needs to be done to improve your SEO ranking and can implement any coding changes that may be required. Ever team has that one player who brings all the pieces together to form a team. They usually know enough to help with ever role involved. Your SEO glue player is your account manager. Jumping from role to role making sure everything is covered and help where it's needed. Your account manager is where tech meets content. It could be your spin bowler, your 3 point shooter or your free kick taker. For your SEO team, it's your content writer. The specialist player knows their role and has turned it into a fine art. As the phrase goes 'Content is King' in the SEO world so you must have a content writer who is passionate for their craft. No matter what the field of topic, they can always be relied on, to get the points on the board when called upon. When it comes to SEO you can never rule out the competition. Just like a sports league, you and your competitors are always trying to move up the league to the first position all the time. In the world of SEO, your competition are those who are targeting the same keyword/phrase as you. In order to win the league you need to piece together the best SEO team available to you. As we all know, a team of individuals will never be as successful as a team that complements each other and works hard in a unified way to achieve results. Just look at Leicester City in the Premier League during season 2015/2016 to understand what can be achieved. At Nexa, we love sports and competition and this has really helped up to put an incredibly strong team together! Do you want to win the league? We can help. Complete the form on this page and we'd be delighted to talk to you!